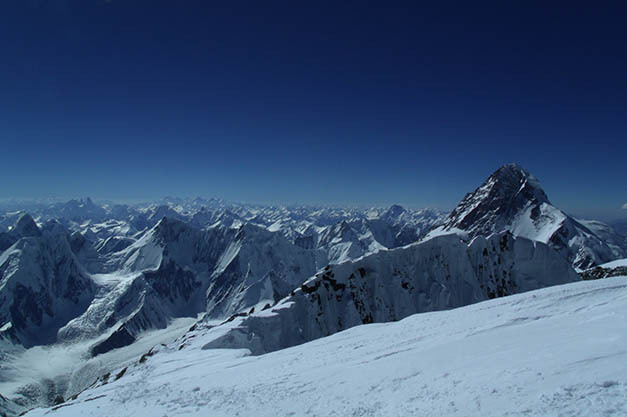 It is known as Falcan Kangri, is the 12th highest in the world and 4th tallest in Pakistan. It was first attempted in 1957 by Austrian, The first ascent of Broad Peak was made on June 9, 1957 by Fritz Wintersteller, Marcus Schmuck, Kurt Diemberger, and Hermann Buhl of an Austrian expedition led by Marcus Schmuck. A first attempt by the team was made on May 29 where Fritz Wintersteller and Kurt Diemberger reached the forepeak (8,030 m).This was also accomplished without the aid of supplemental oxygen or high altitude porters and without base camp support. During the winter, several climbers tried to climb but did not reach to the summit, the Poles reached to its top on 4th March 2012/13 lead by re known legend climber ( Krzysztof Wielicki) 4 climbers reached to summit. this was the history in the world. 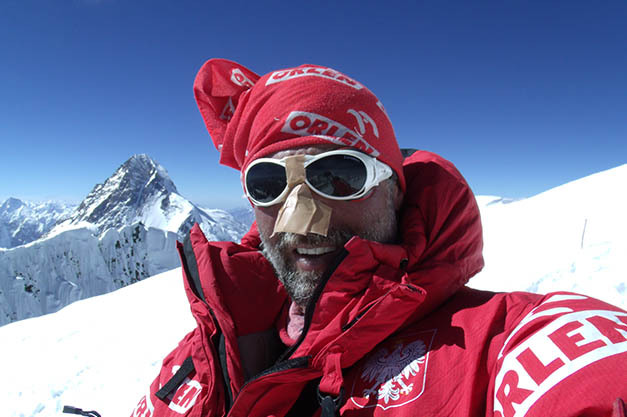 During this expedition Karim Hayat reached to 7700m. 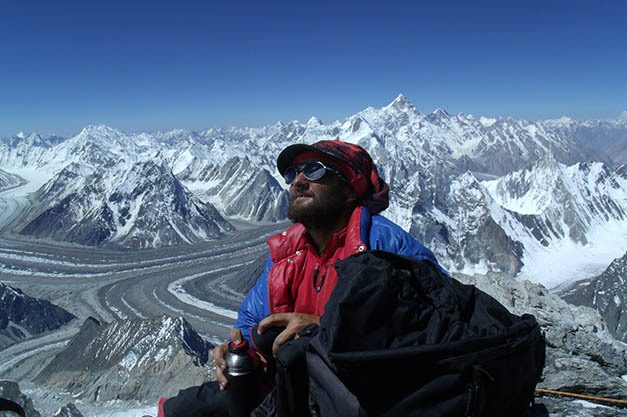 Karim Hayat is the founder of Mountains Expert Pakistan and climbed Broad Peak on July 23.2014. Because of all this experiences we offer several expedition in Pakistan. D-3-4 Drive to Skardu 7-8 h, Rest day for preparation and city sight seeing. D-41-49 Trek back to Skardu over Gondogoro pass or follow the same route to Askole Skardu.